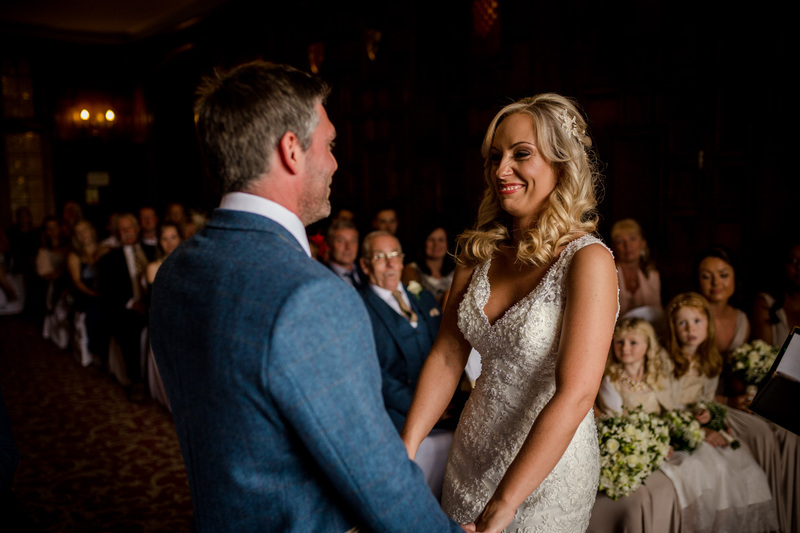 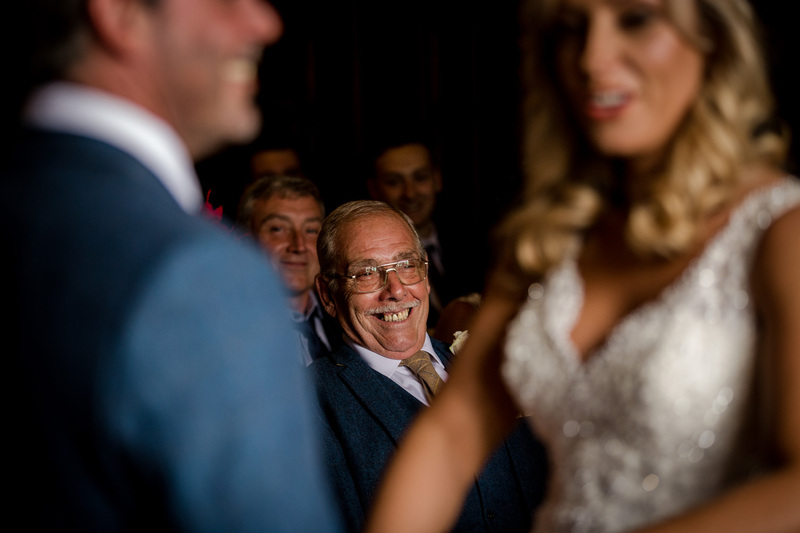 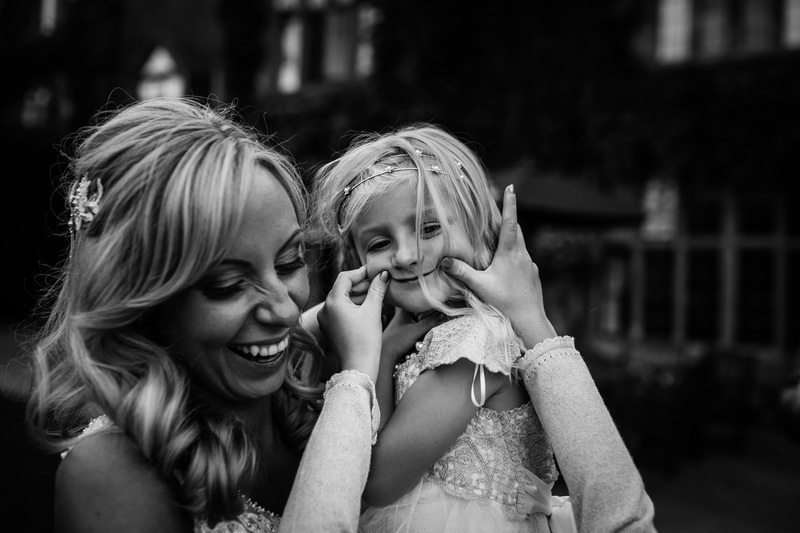 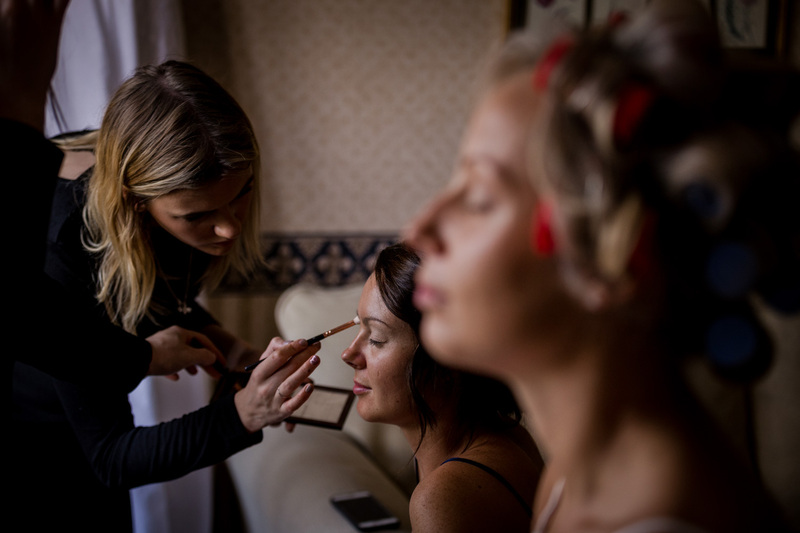 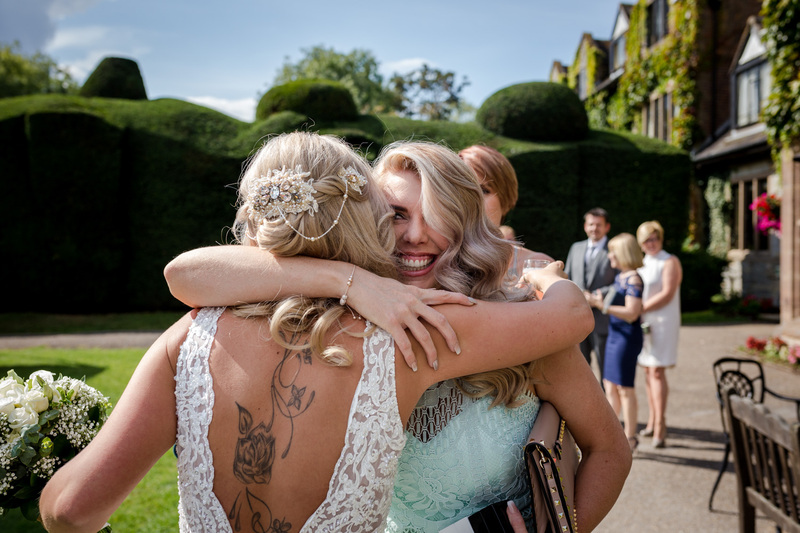 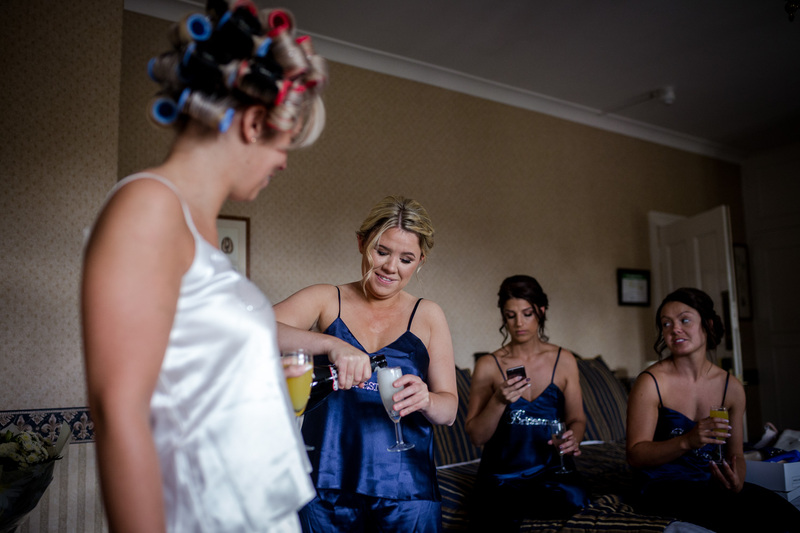 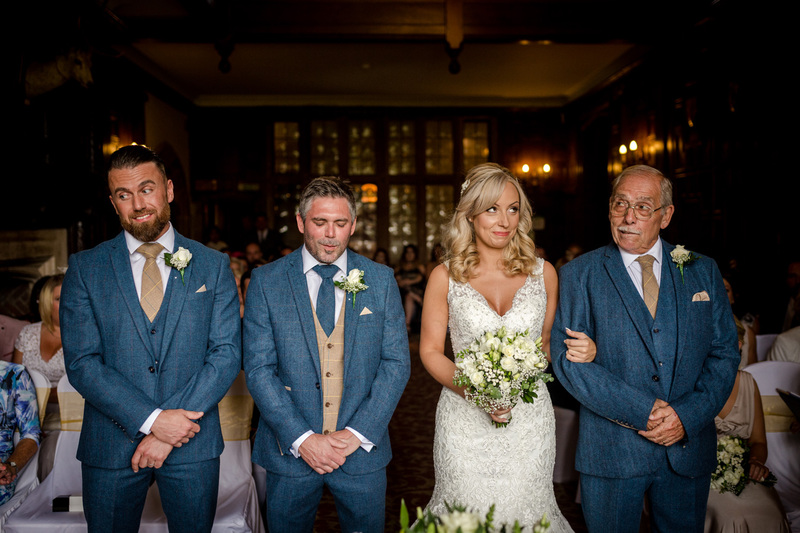 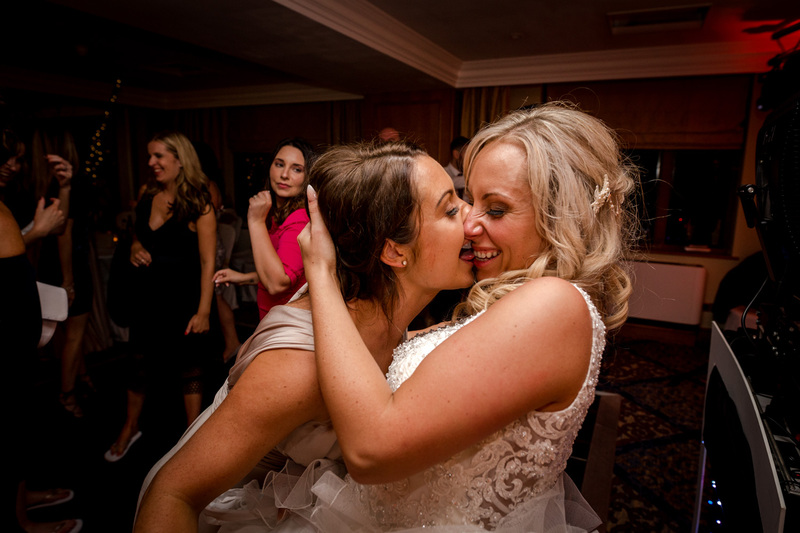 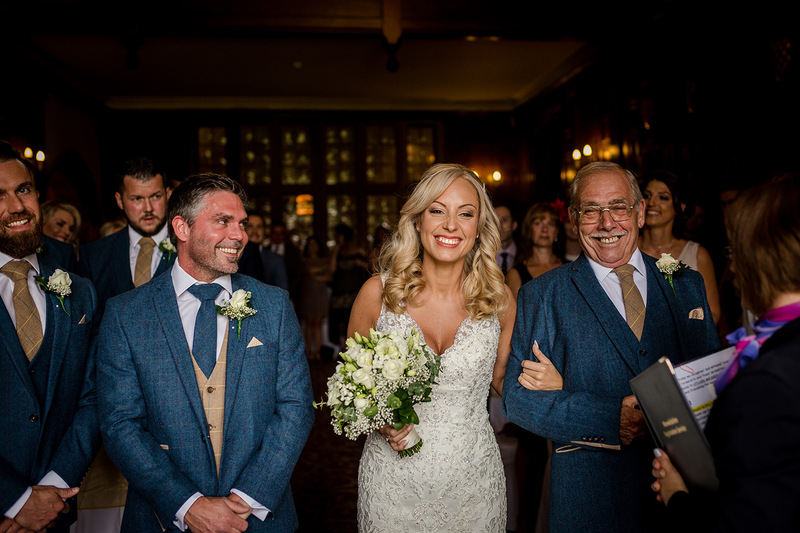 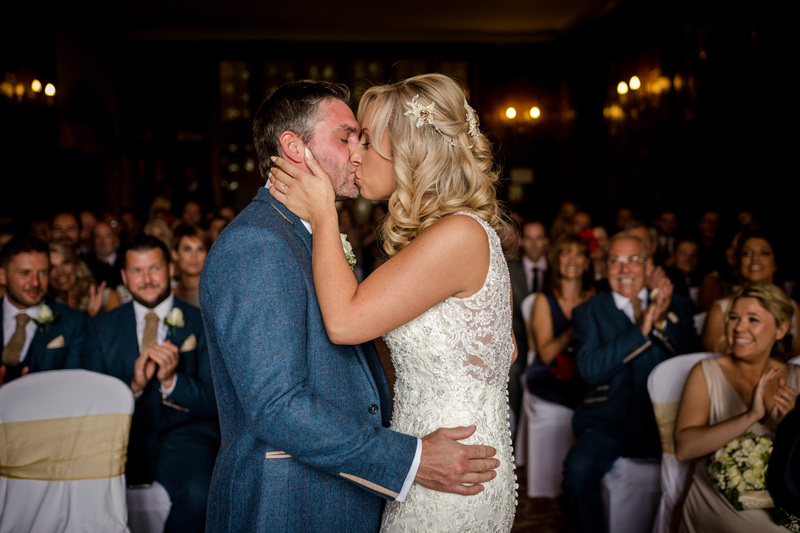 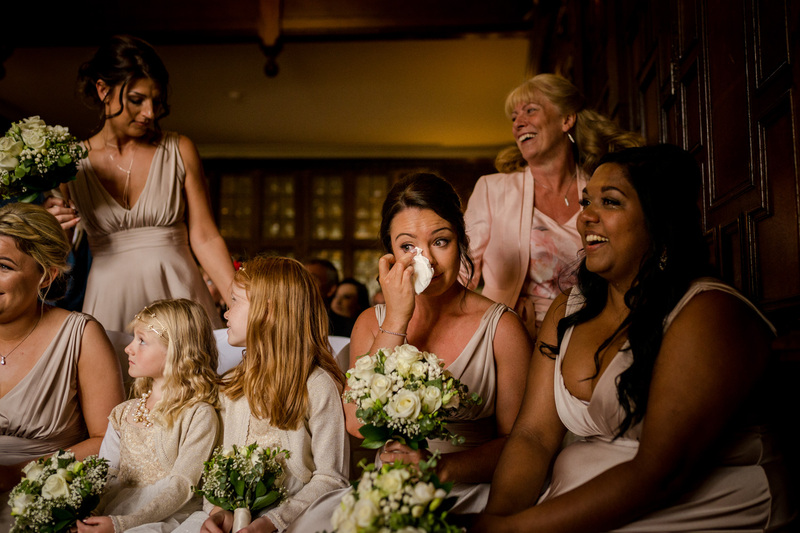 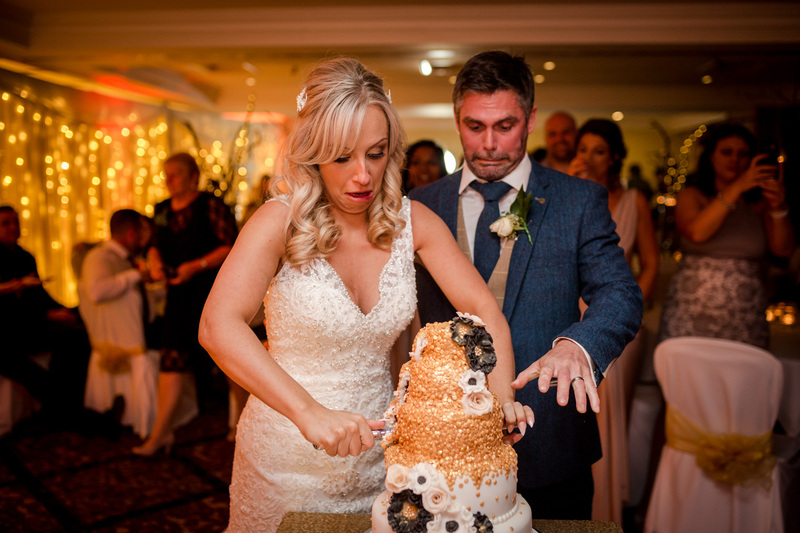 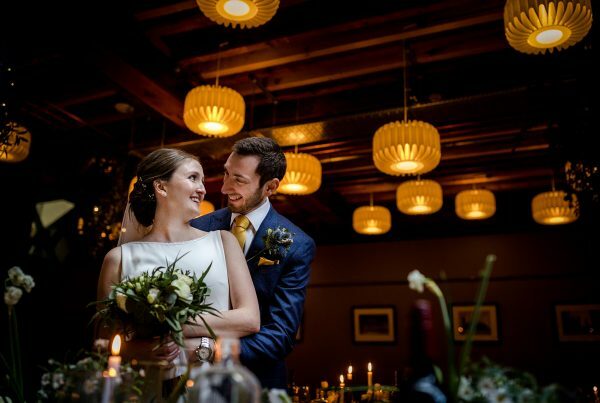 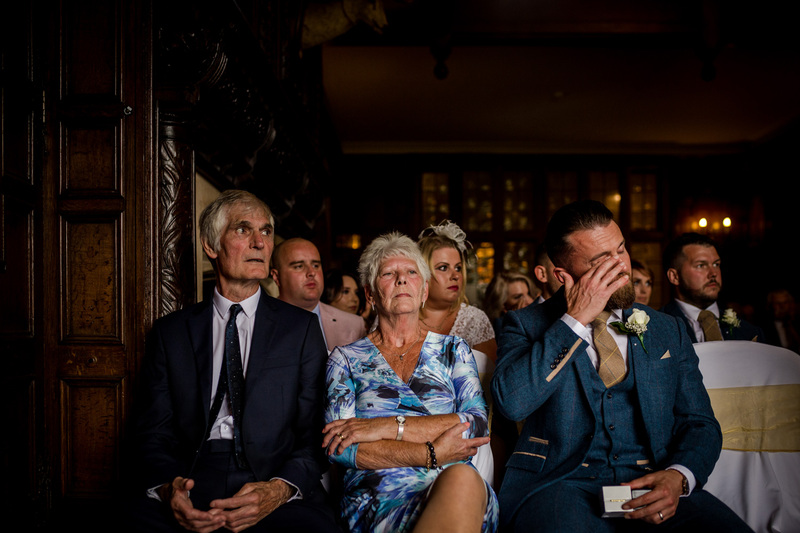 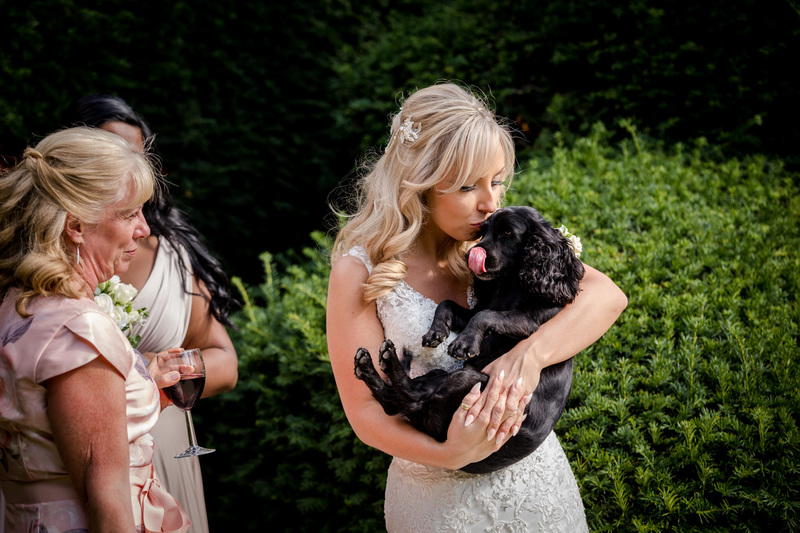 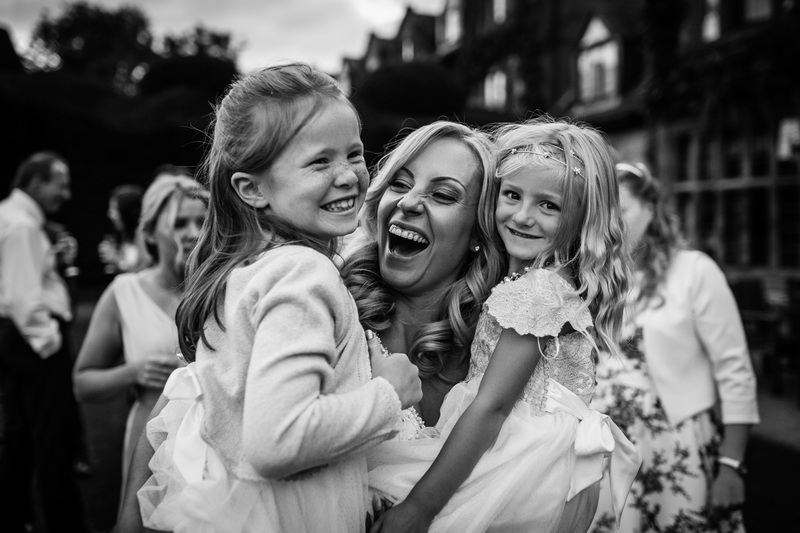 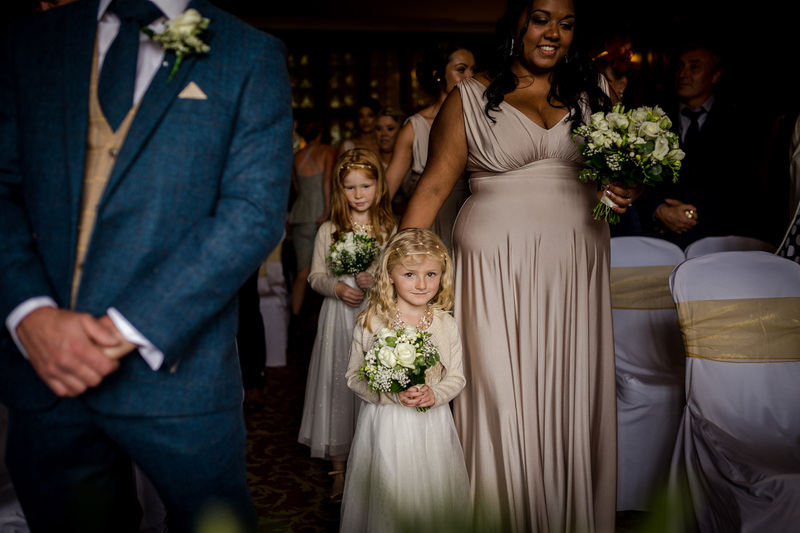 Mel and Baz’s Billesley Manor Hotel wedding was an absolute scream from start to finish. 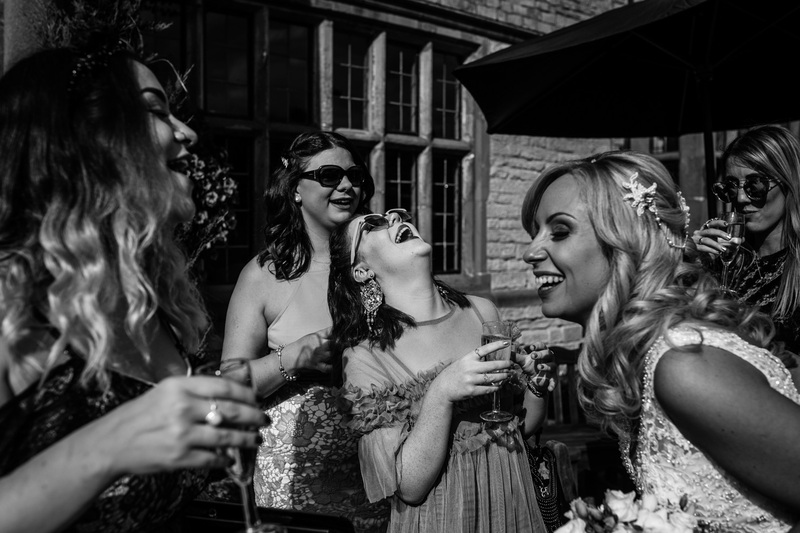 Back in 2016 I photographed one of their friend’s weddings a little closer to home at the Saddleworth Hotel in Oldham. 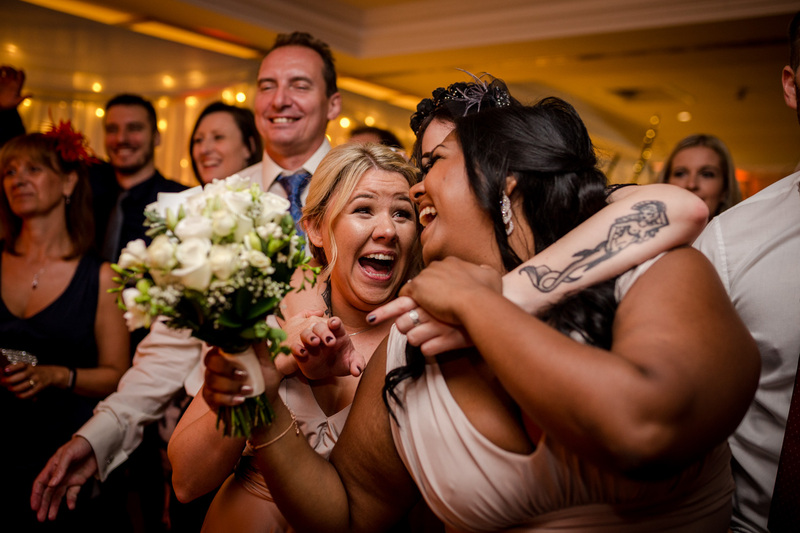 So I had a good idea of what to expect from this particular group of friends and family. 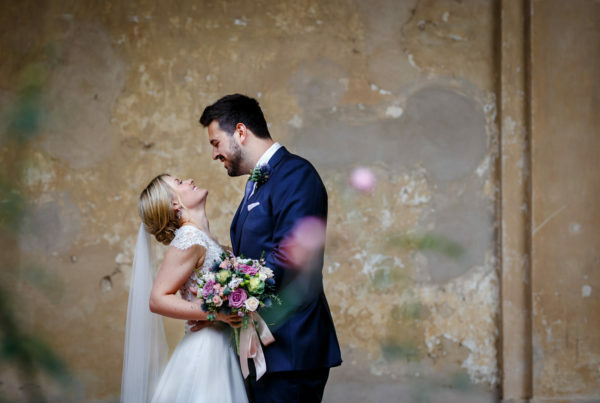 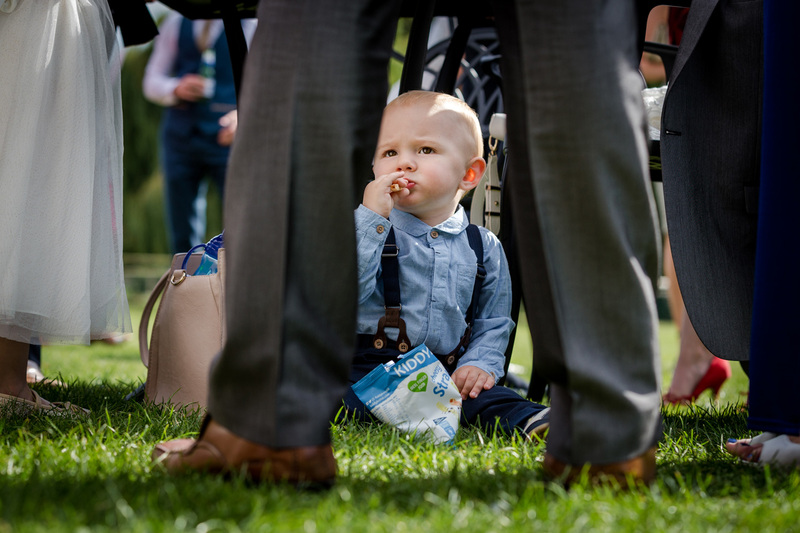 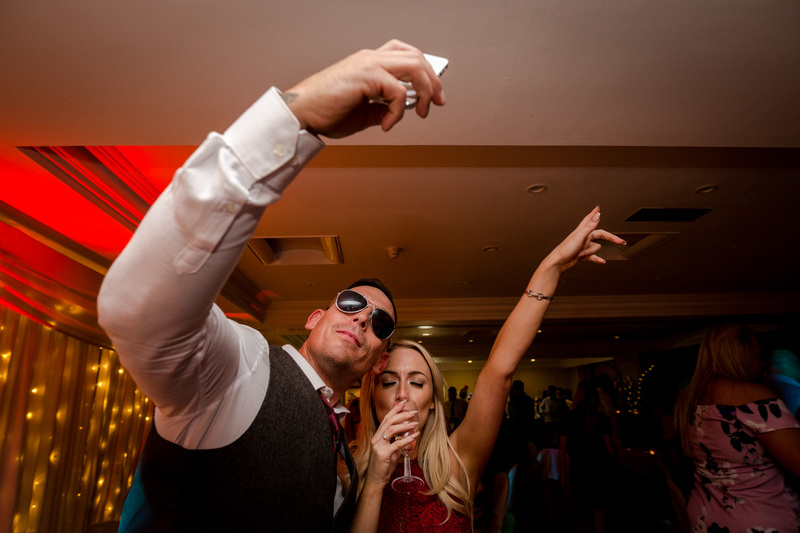 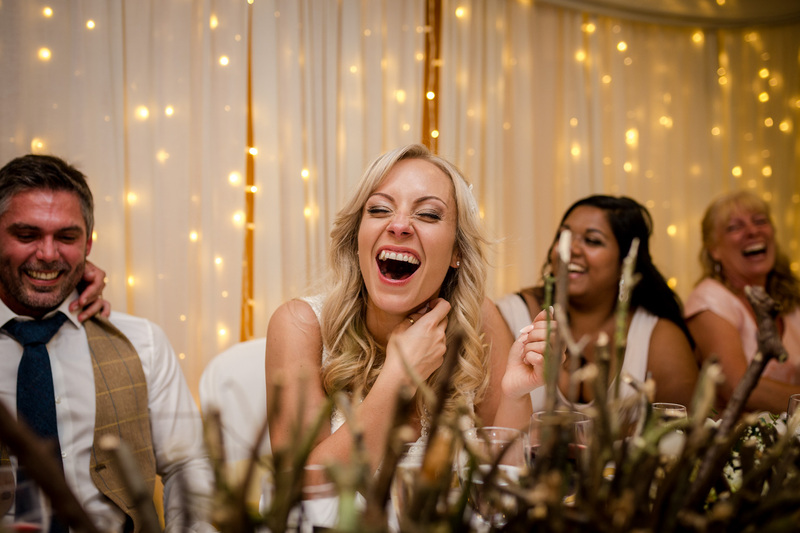 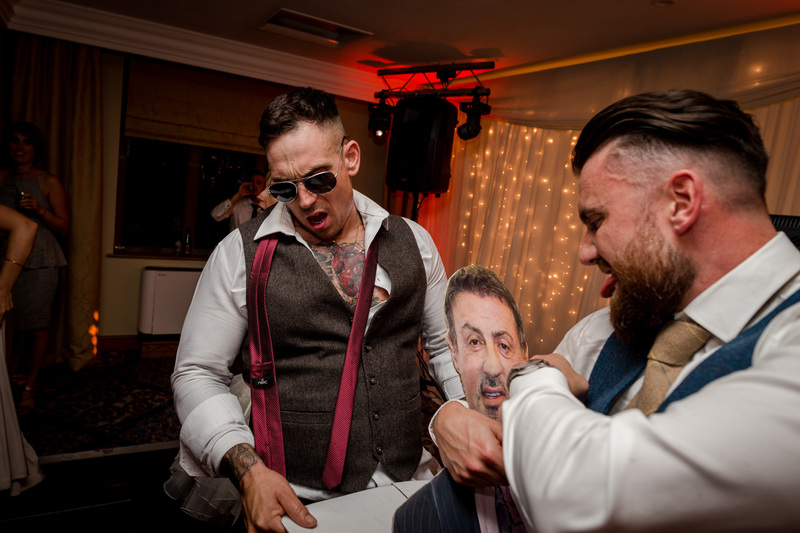 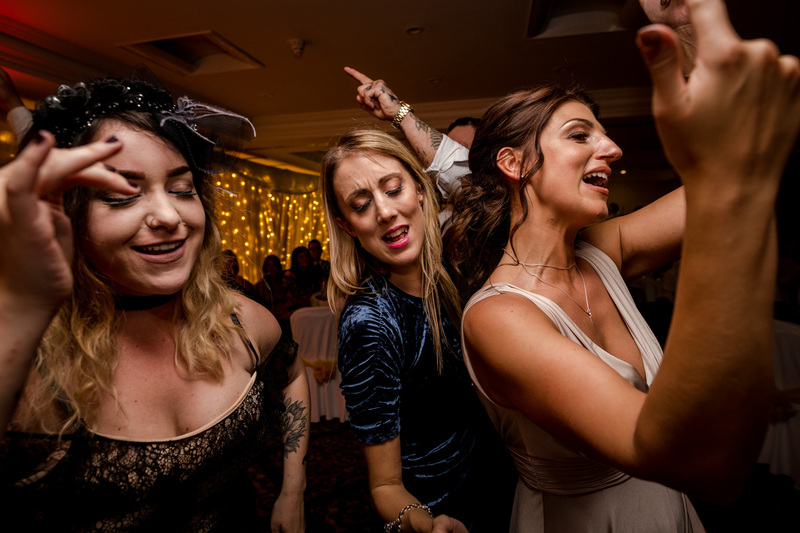 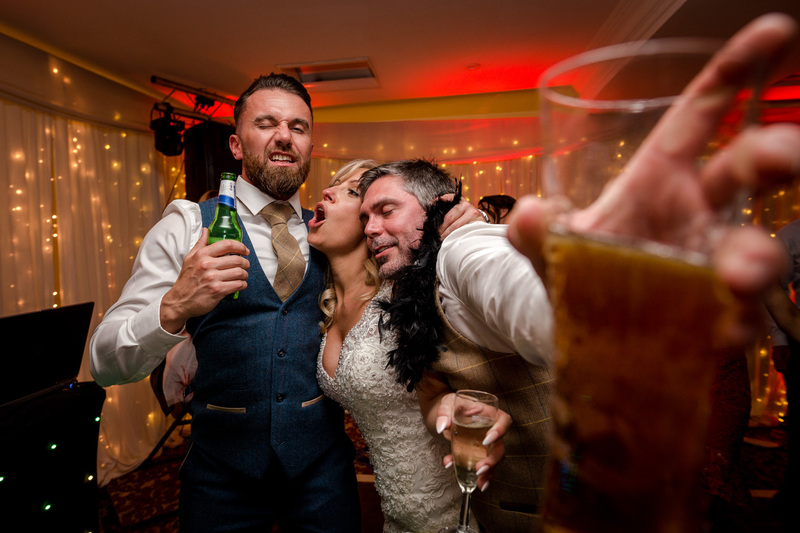 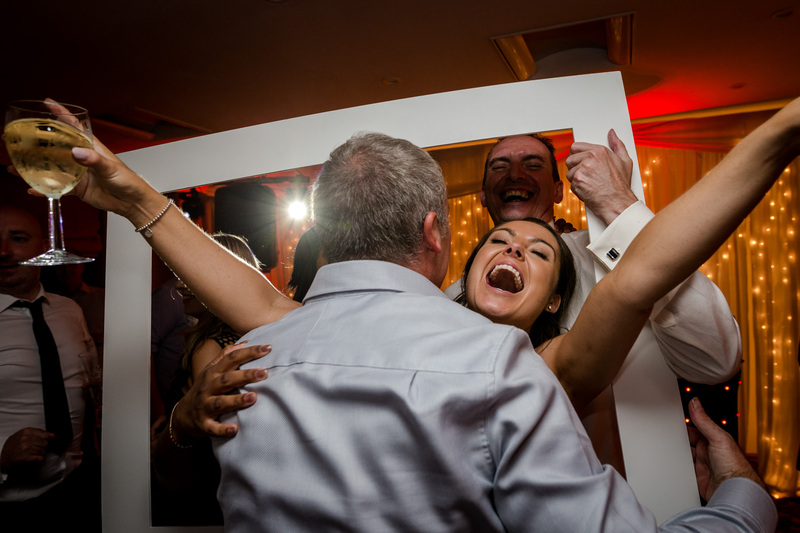 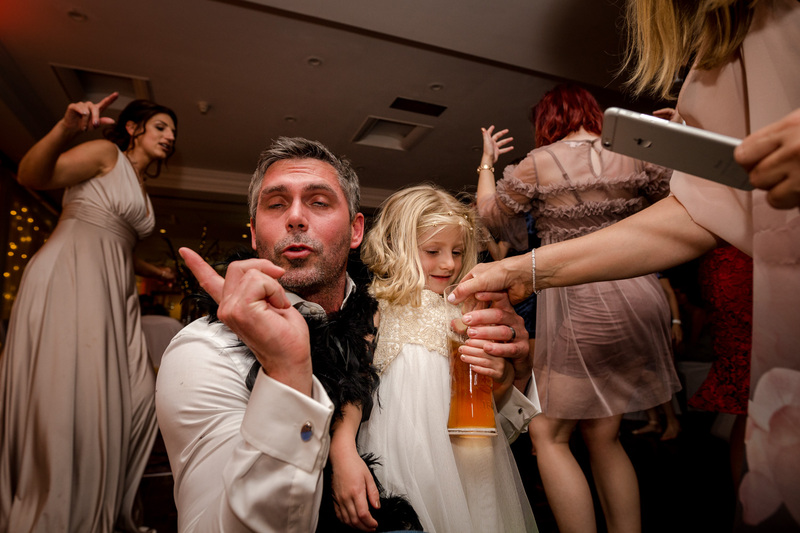 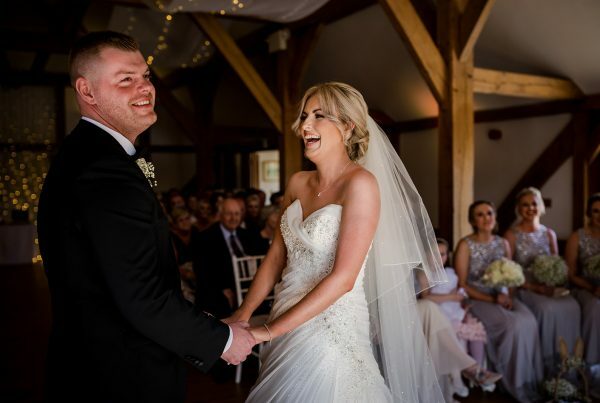 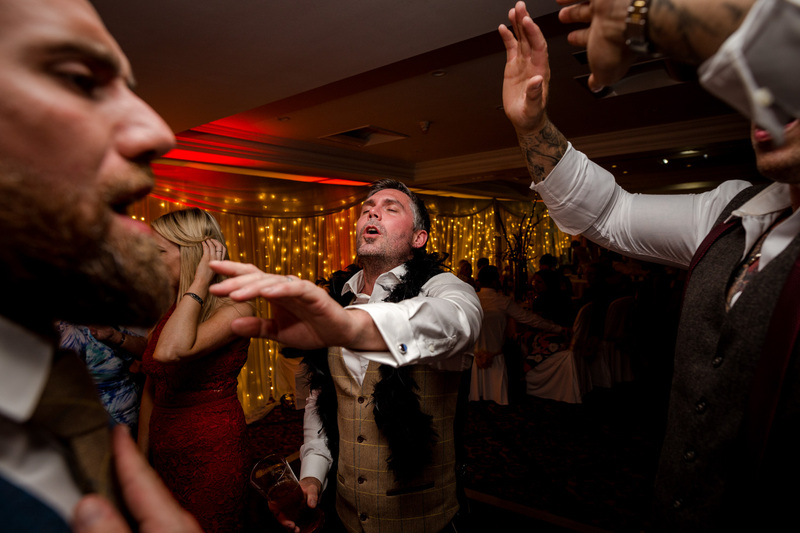 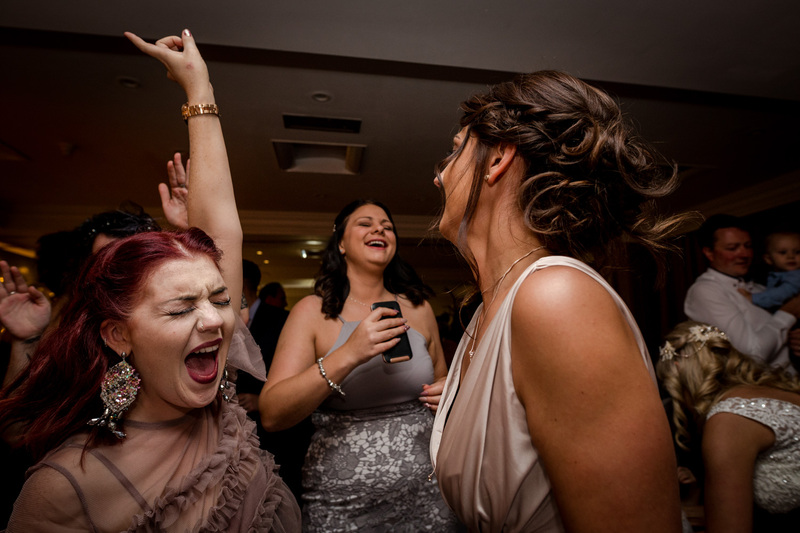 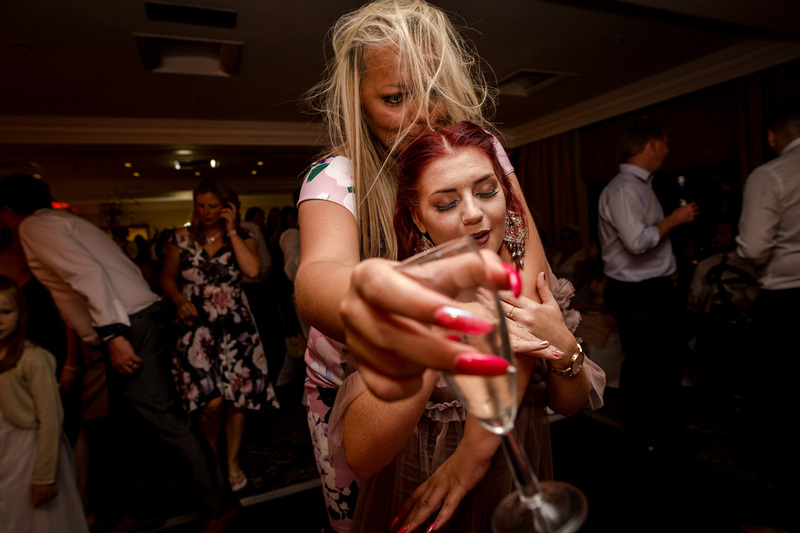 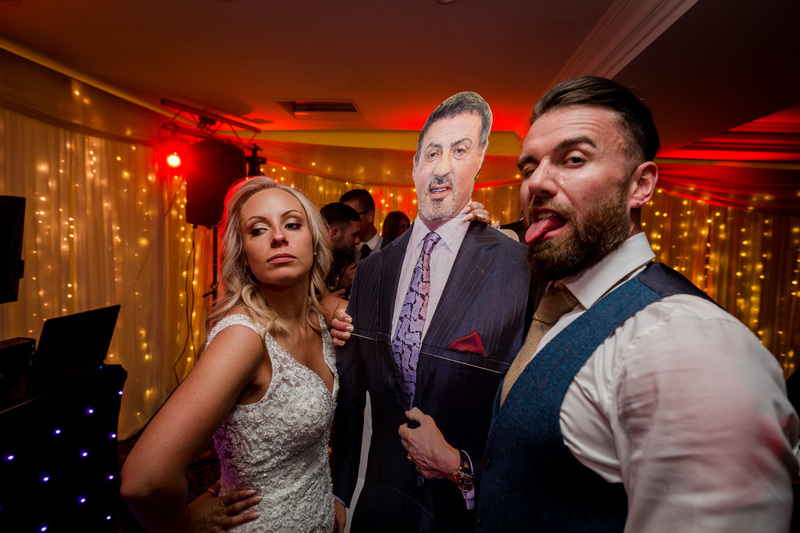 This was 100% my kind of wedding – A laid back, fun-loving couple with a great bunch of family and friends who were all up for letting their hair down! 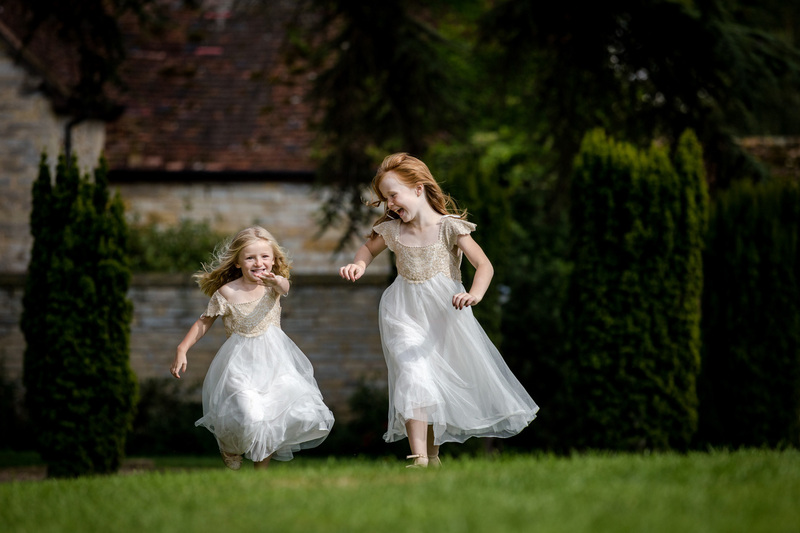 The weather was glorious and turned out to be one of the last real days of summer. 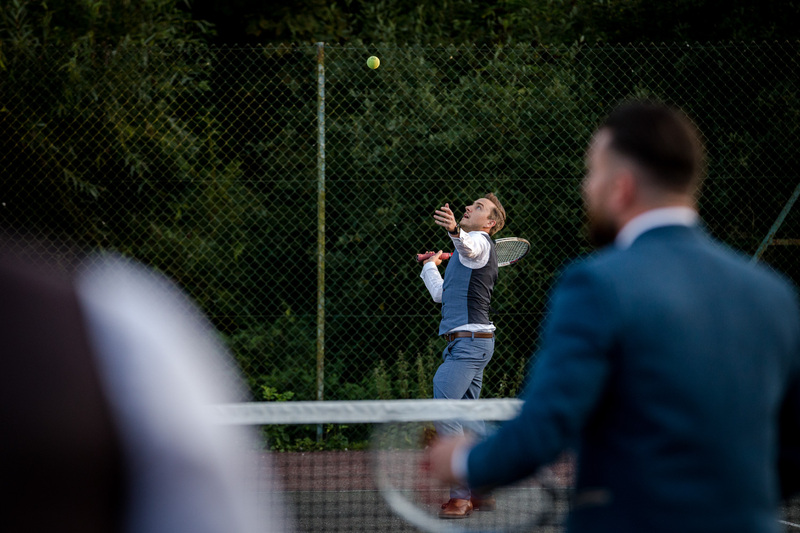 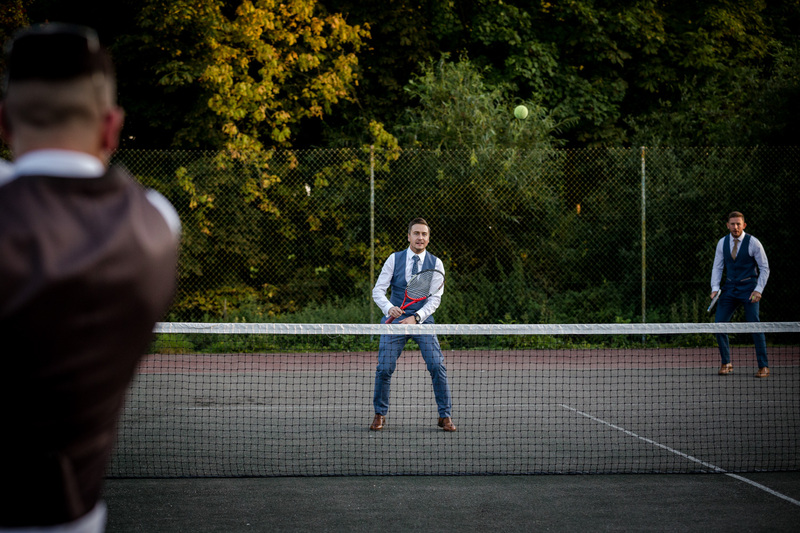 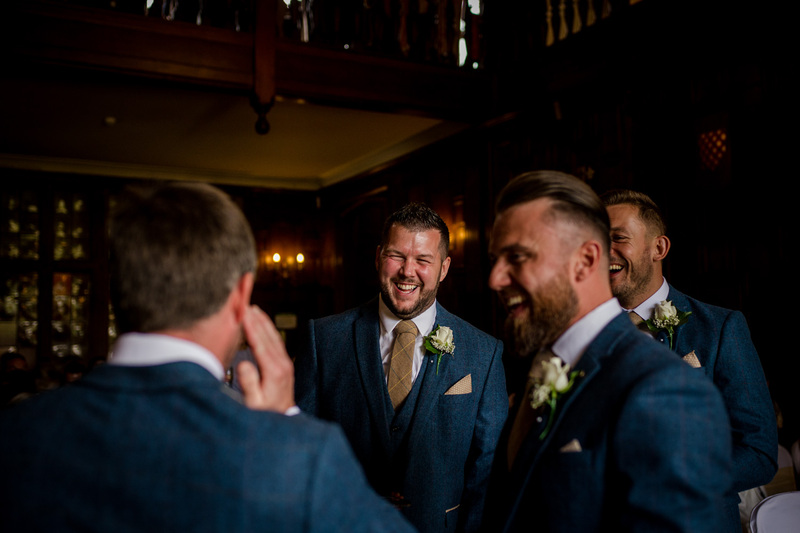 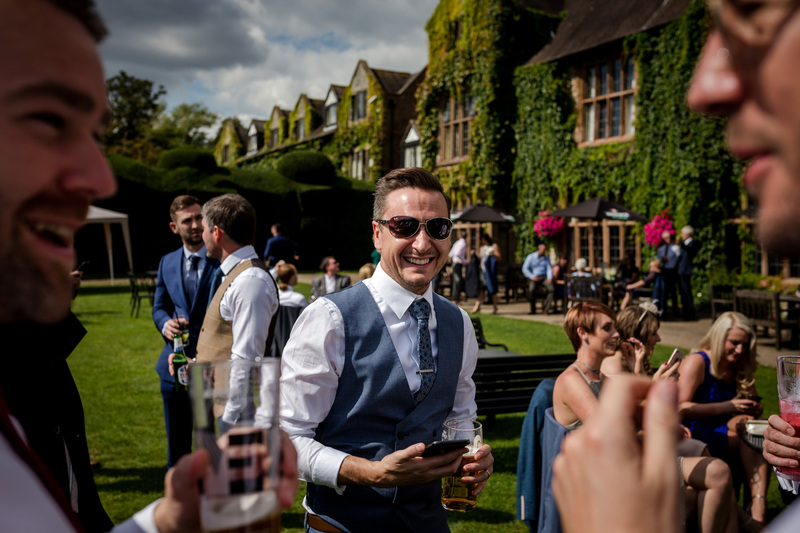 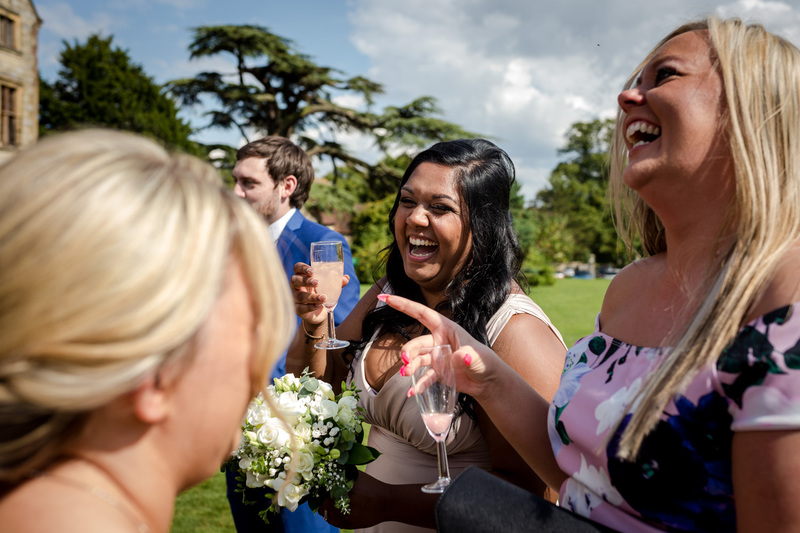 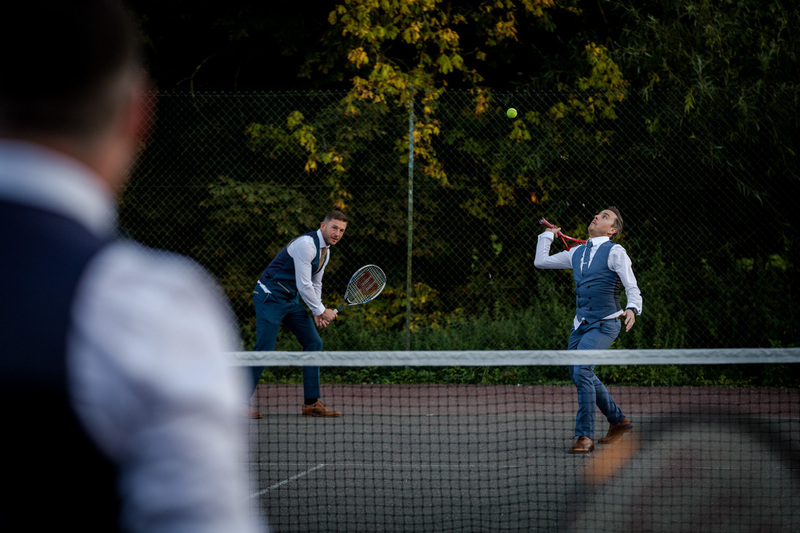 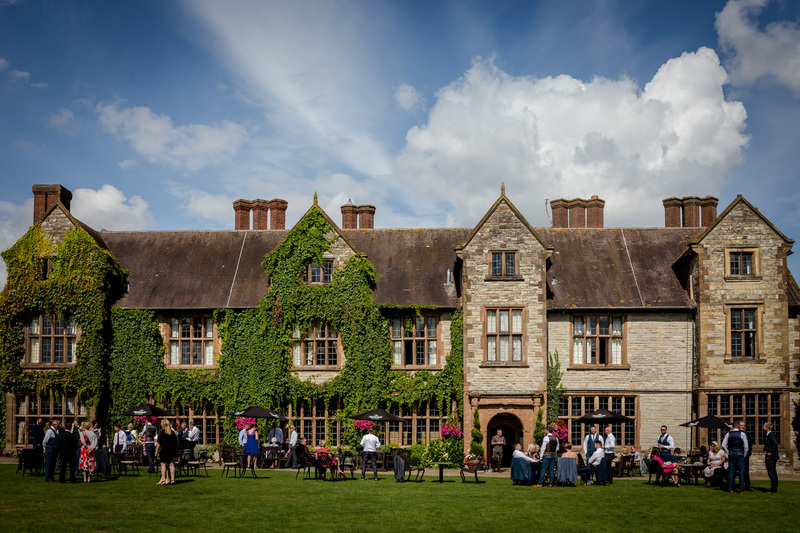 The sunshine meant that the guests could enjoy the stunning Billesley Manor Hotel grounds in full, including taking advantage of the tennis courts after the wedding breakfast when the groomsmen decided to have a game of doubles after a good few hours of heavy drinking. 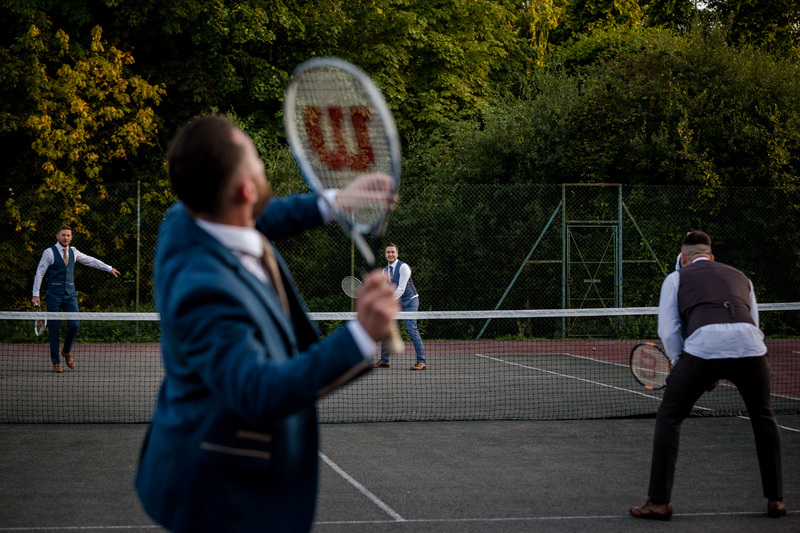 Naturally, I joined them on court to photograph the fun and games. 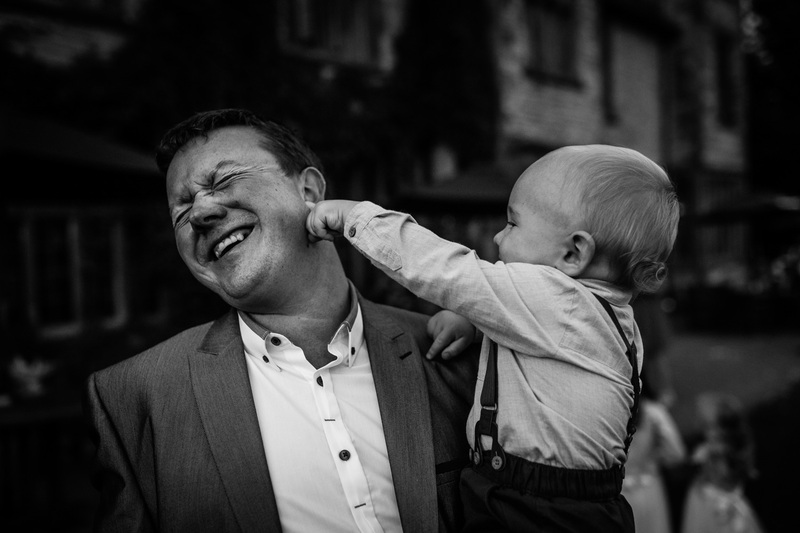 How I didn’t lose an eye I’ll never know! 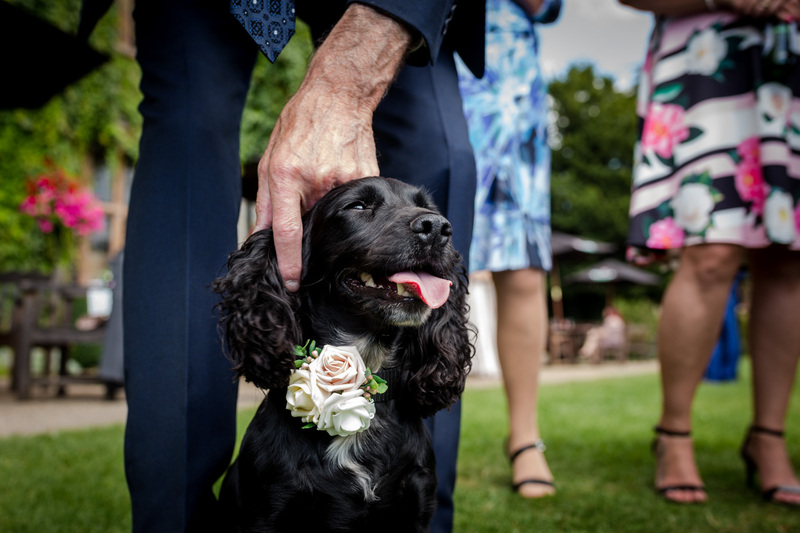 Keep your eyes peeled for Mel & Baz’s dog as well as a very special guest appearance who found his way onto the dance floor during one of the wildest evening parties I’ve ever photographed. 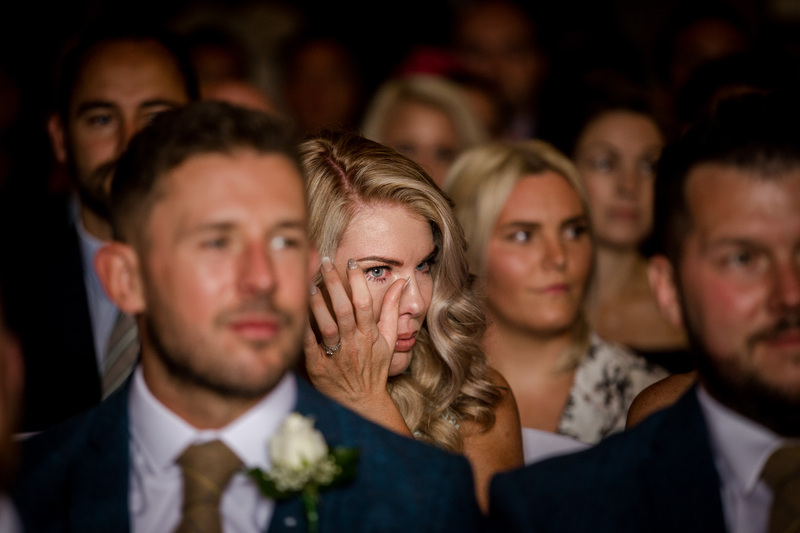 My heartfelt thanks go to Mel & Baz for having me along for the ride, it was a real pleasure to document such a fun occasion and mingle with your amazing family & friends. 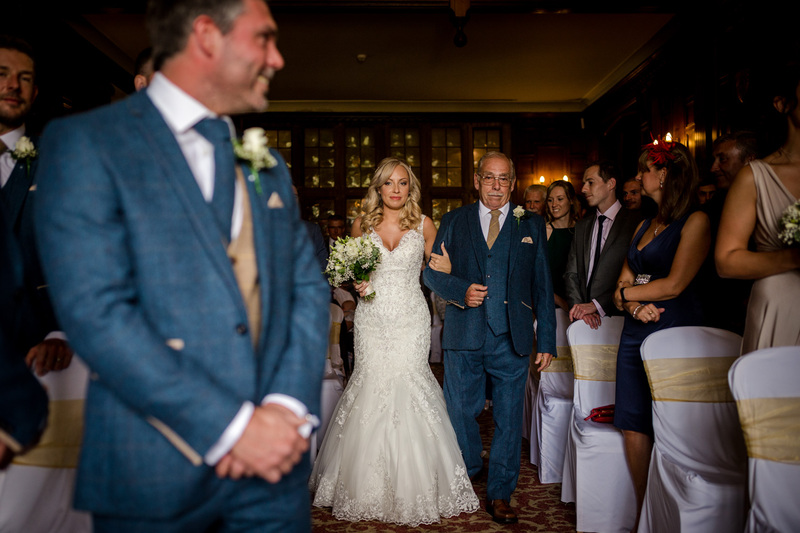 Thanks also to the staff at the Billesley Manor Hotel who looked after me superbly on the day. 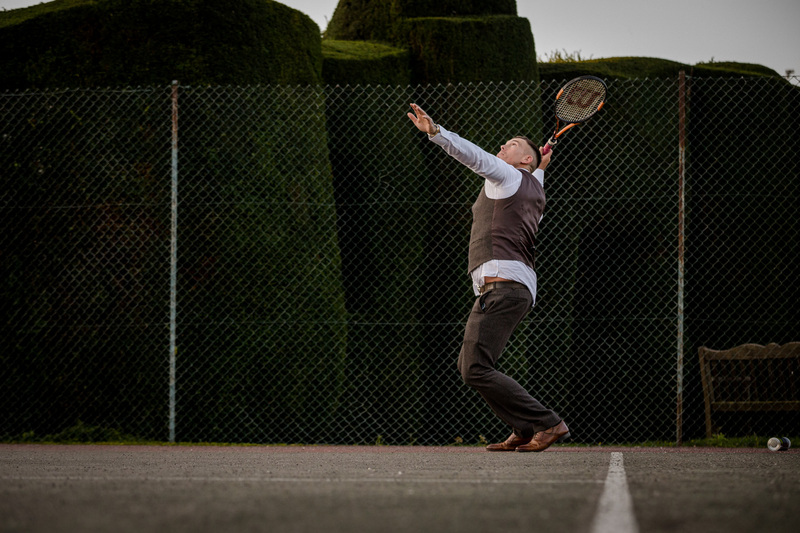 I hope to be back very soon. 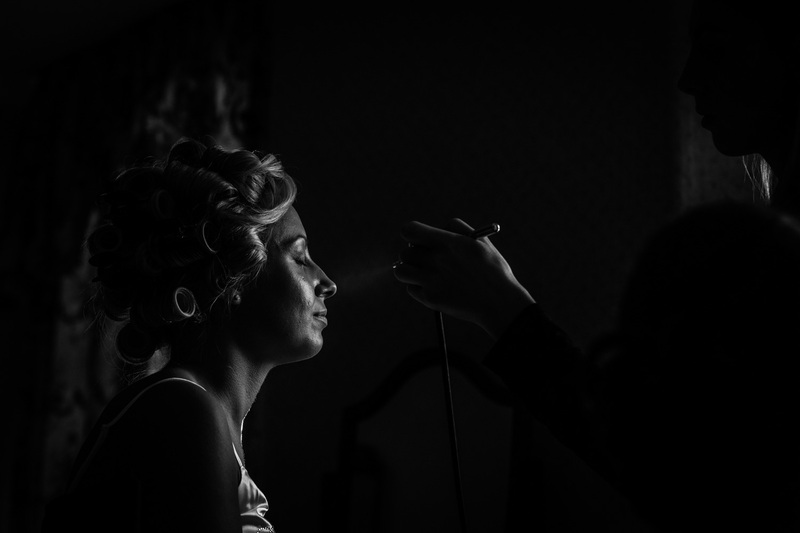 Also, a big high five to Katie Small of KS Hair & Make Up, it was lovely to work alongside you. 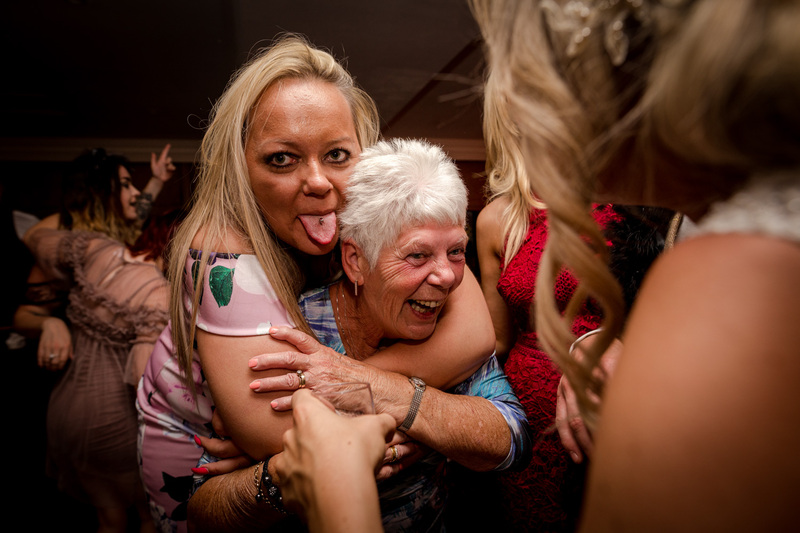 I can’t believe I’ve just typed 2020, that sounds like it’s way ahead in the future when we’ll all be living on Mars. 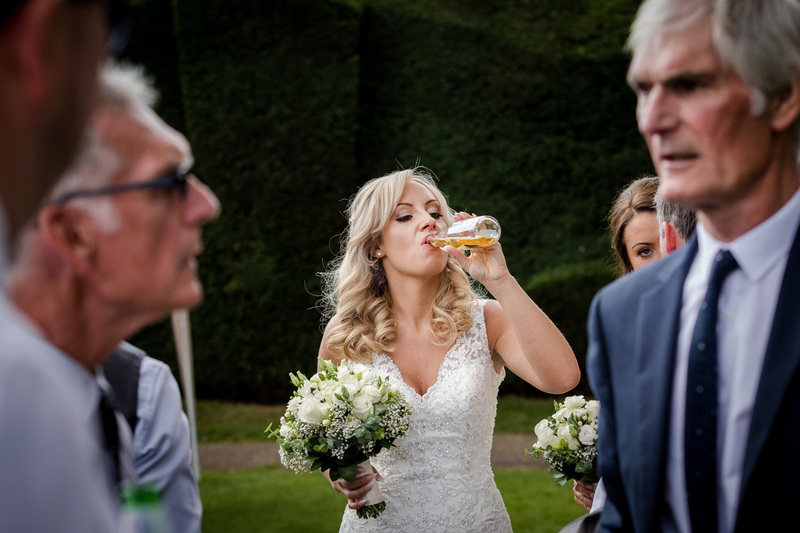 I had my first enquiry for a 2020 wedding the other day, hence why I brought it up. 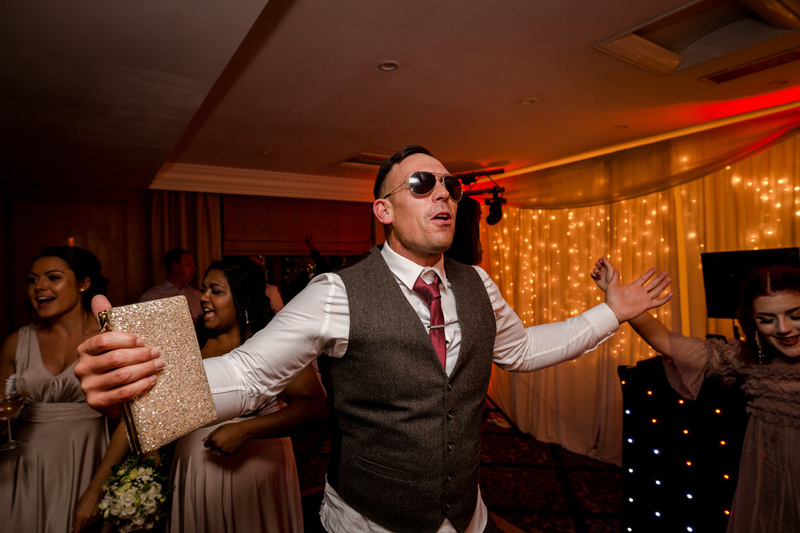 Anyway, I am taking bookings for the next three years, 2018 is already just over 70% full with key dates going quickly. 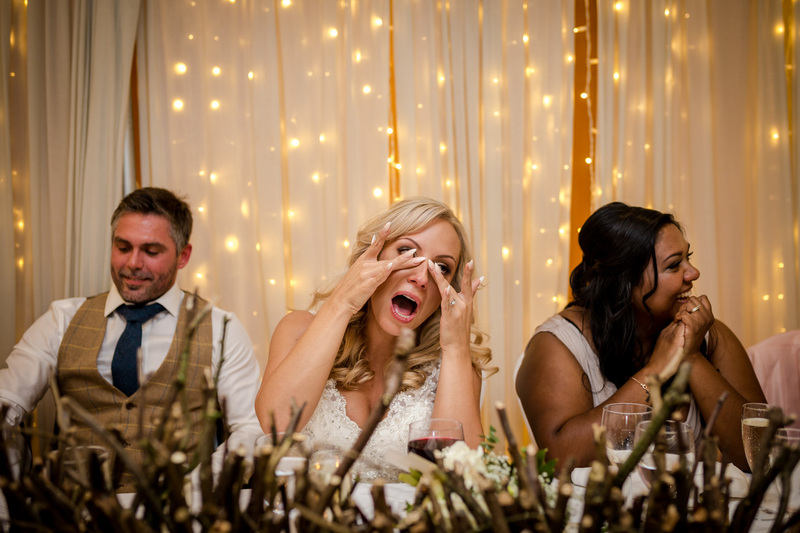 Please speak to me ASAP if you like my snaps and you’re getting married.